One of a kind home in Jax Golf and Country Club! Designer touches throughout! The inspiration for the recent renovations is a fusion of southern charm and french country. You will enjoy the subtleness of the white exterior with custom black board &batten shutters. The recently installed pavers were selected to continue the old world feel.The owners favorite thing about the home is how guests comment that it offers a sense of relaxation and prettiness that is rarely found.The interior paint color, billowing clouds, reminds one of a warm hug. 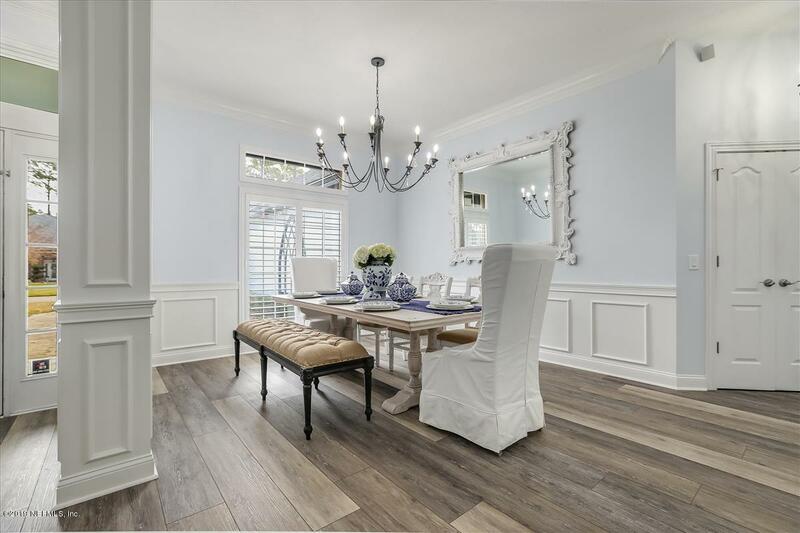 ALL NEW Floors, Paint &over 30 new light fixtures.Newly updated kitchen w/ Kohler farmhouse sink &custom faucet, all baths updated w/painted cabinets ≠w fixtures; NEWLY updated custom back patio is ALL southern charm- SEE DOCUMENTS FOR ALL UPDATES!